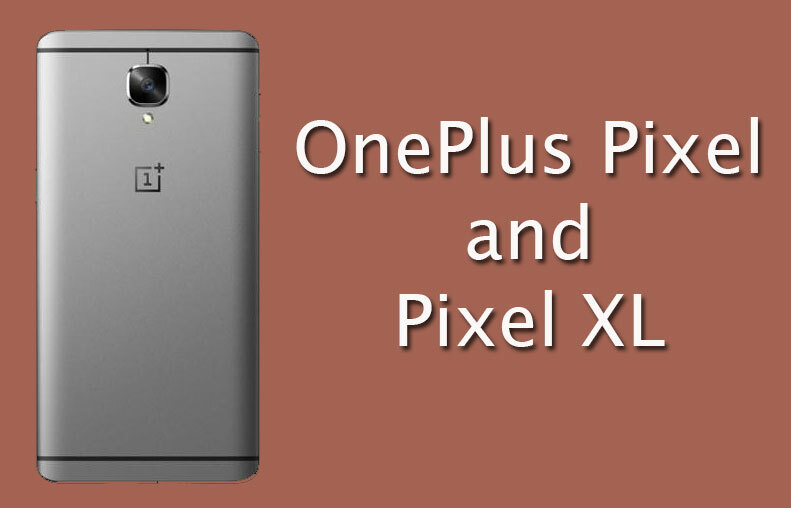 However, we are not sure for the upcoming OnePlus smartphones, named as per the rumours OnePlus Pixel and Pixel XL. 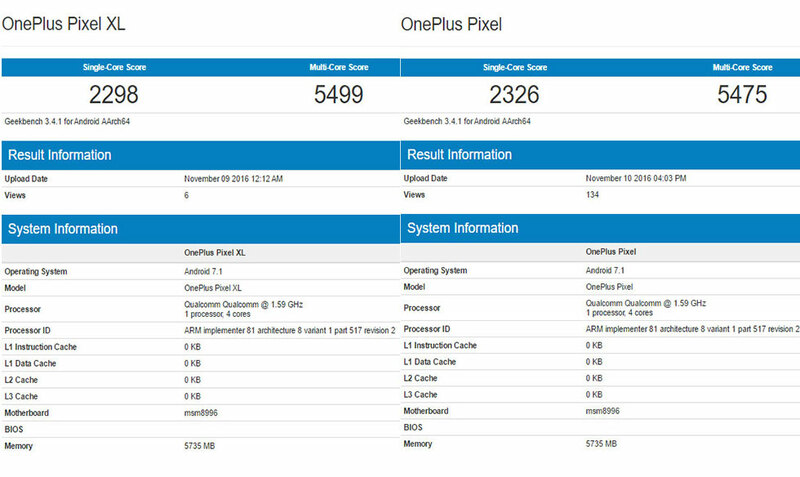 Both the devices are listed on benchmark site, Geekbench. But if the company brings the phone in the market so it will be very interesting to see because recently the Google has launched their two new smartphones, Goole Pixel and Pixel XL. I don’t think so the OnePlus company will provide their upcoming phones as the name of Pixel and Pixel XL, let it be this is not our issue but if the phones will get down in the market so the devices will come with the latest Android Operating system and the Qualcomm’s Snapdragon processor. Six months ago, the company announced their flagship smartphone, One Plus 3 which provided some great features and specs for the users. But this time the company has decided to bring something more for the OnePlus handset’s lovers. As per the benchmark site, both the smartphone will come with Qualcomm Snapdragon 820 chipset clocked at 1.59GHz quad-core processor. Both the devices will run on latest Android 7.1 Nougat out of the box. However, the company has not disclosed yet both the phones features and specs but it is expected that OnePlus Pixel and Pixel XL might come with full HD resolution and latest Corning Gorilla Glass. Both devices will come with large battery with fast charging technology. The devices will support 4G LTE network, Bluetooth, GPS and many other connectivity options. OnePlus Pixel and Pixel XL will provide 6GB of RAM but there are no rumours about expandable memory. As of now, the company has not announced officially the phones so we will provide full information when the will be released by the officials. For more update on the upcoming OnePlus phones availability details, all specs and features and price, stay tuned with us.